It meant the death of 1,000 elephants. For anyone who reads the news about the illegal wildlife trade, it’s easy to become desensitized to the frequent seizures of animal parts — rhino horns, pangolin scales, elephant tusks, or even live animals like slow lorises or turtles. But yesterday was one for the record books. 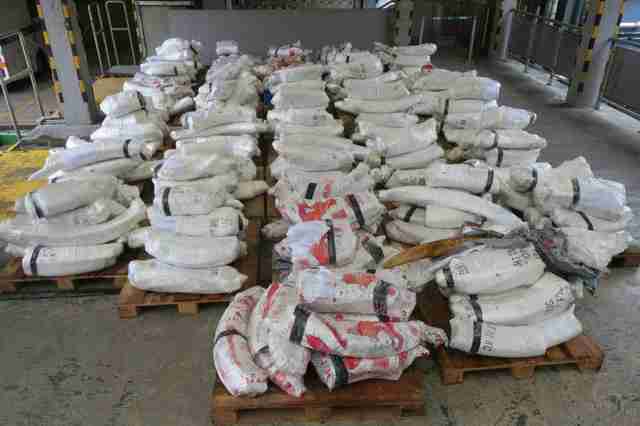 Authorities in Hong Kong discovered 7.2 tons of illegal elephant ivory in cargo containers marked as frozen fish. 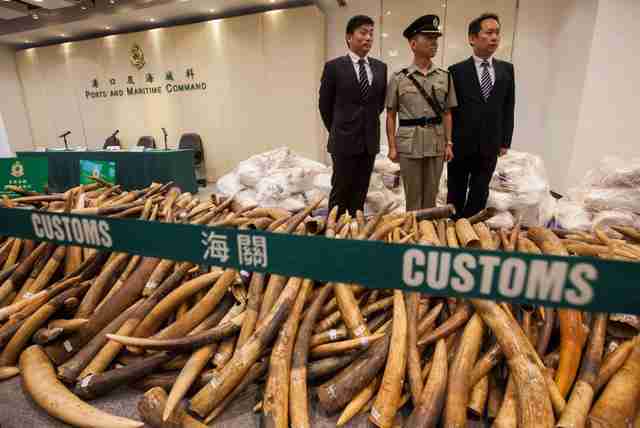 This seizure is said to the biggest in recorded history, with the value of the tusks thought to be about $72 million HK (about $9.2 million USD). 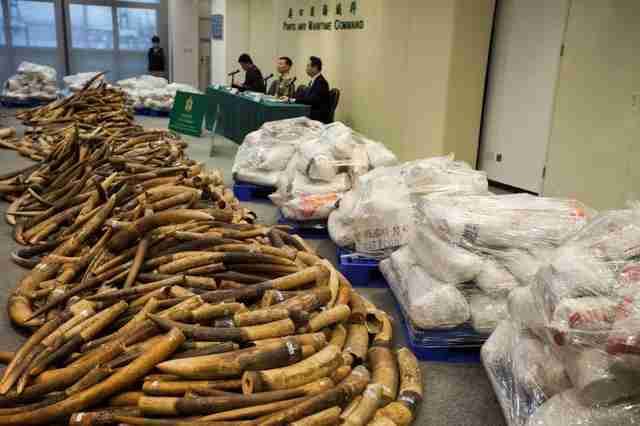 To obtain so much ivory, an unbelievable number of elephants had to die. 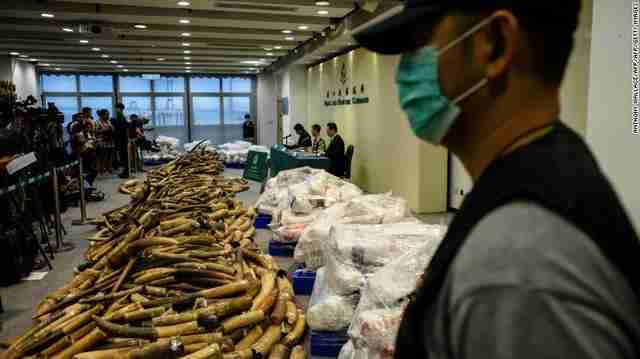 This particular seizure contains ivory from 700 to 1,000 elephants, including many baby elephants, according to Alex Hofford, a campaigner for WildAid, an organization that works to fight the illegal wildlife trade. 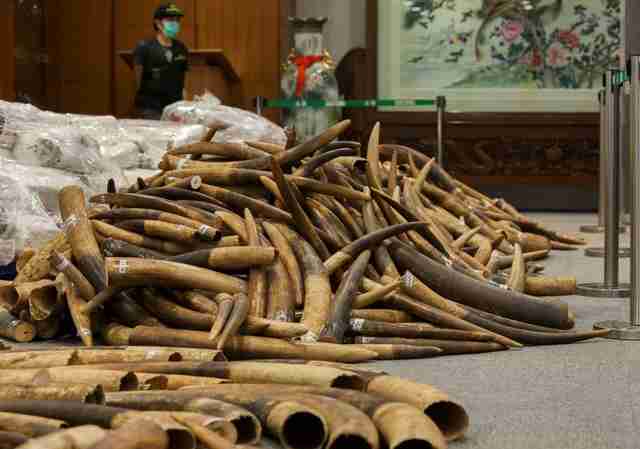 Across Africa, elephant populations are plummeting, and poaching is the main culprit. If poaching isn't stopped, conservationists are warning that elephants could be extinct within 20 years. 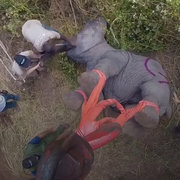 Rob Brandford, executive director of the David Sheldrick Wildlife Trust (DSWT), which runs an orphanage for baby elephants whose parents were killed for their ivory, explains that poaching is having a devastating effect on wild elephants. To help baby elephants whose parents were killed for their ivory, you can make a donation to the David Sheldrick Wildlife Trust.